We are a baseball loving family. Opening Day is less than 1 week away! This is my favorite time of year! My son is fourth generation Cubs fan. 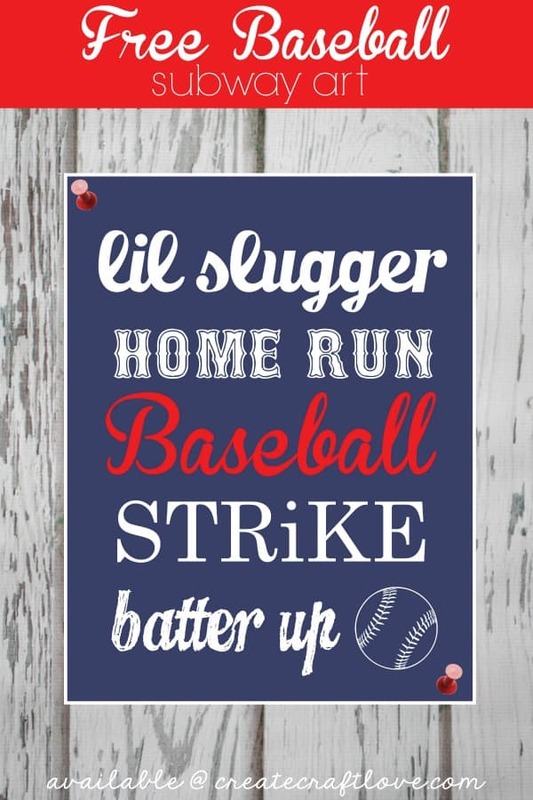 He started playing tee ball last year and all I have heard since then is, “When does tee ball start again?” As we are preparing for Reed’s second tee ball season, I came up with this cute printable Baseball Subway Art! It’s great for little boy rooms and man caves! This prints as an 8×10 and will perfectly fit a frame of that size. It’s available in both blue and white! So you get to choose which goes better with your decor! I didn’t create a softball one but if enough of you want one, I would be happy to whip one up! 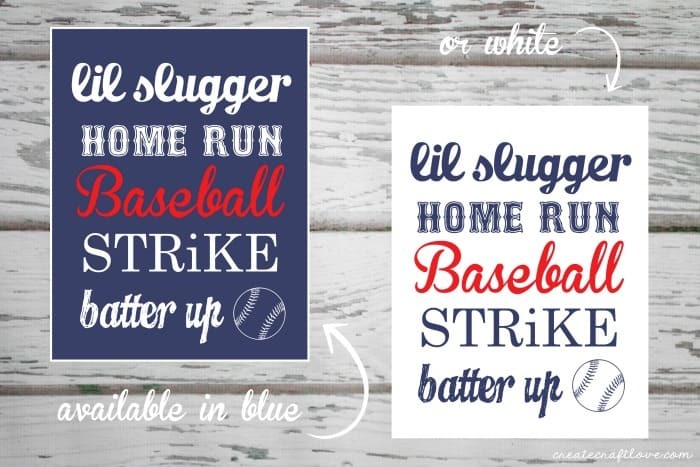 Click color below to take you to the Baseball Subway Art printable of the same color! Do you love baseball? Who do you root for in your household?